Step Away from the Seventies. What *is* my problem? 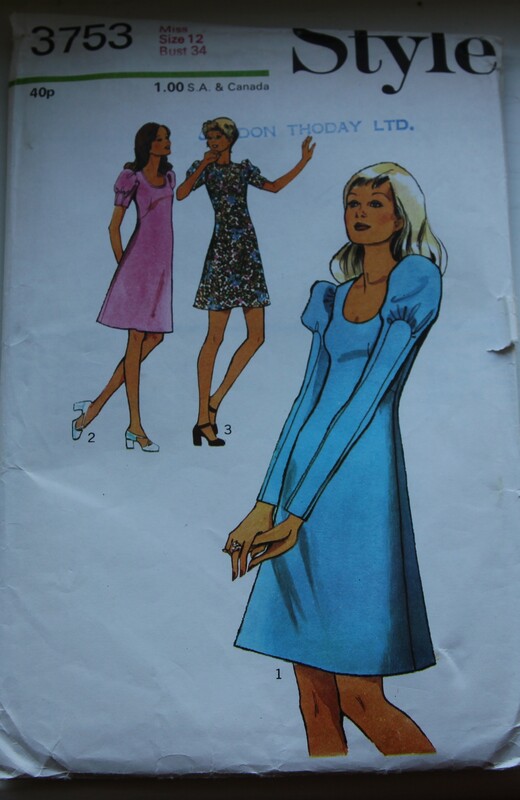 The women on the pattern envelope could have stepped straight from the rough-to-the-touch pages of my Bunty, Judy or Misty magazines. Well maybe not Misty as that was a little darker, the strap line on the envelope would have had to read ‘Little did Taffy know, the ring was bewitched’. Style 3753, size 12, bust 34, dated 1972. Liberty scraps (from worn and washed) used as hem and neck-line binding. Going sleeve free (essential for the sauna that doubles as my library-shaped place of work). Making french darts: pin, tack, sew, *swear, unpick, pin, tack, sew again *repeat from here until you can bear no more. Flannel does not fray, yay! Do not insert an ordinary zip in as if it were an invisible zip, particularly don’t do this four times before you work out why the zip refuses to disappear neatly into the seam line. S’far from perfect but it’s all right with a cardie. I am with you… Love that era although I can’t really carry it off. (sigh) Love the dress and the extra little Liberty touches! I think that some of the 70s stuff is hard to carry off with a straight face. The sleeves are indeed awesome and cool. Shame they don’t pass the ‘can I wear a cardie over them?’ test. I remember Gordon Thoday!! and the seventies …………..
Me too. To the 70s and Gordon Thoday! !